Ed Bearss, wrote of General Joseph Kershaw that he "repeatedly demonstrated that he was without peer as a combat leader." Few of Kershaw's contemporaries or modern historians would disagree with this assessment. Joseph Kershaw was born on January 5, 1822, in Camden, South Carolina. He was the son of John and Harriett DuBose Kershaw, a distinguished family. A third-generation South Carolinian, his paternal grandfather had emigrated from England in 1748 and was active in public affairs during and after the American revolution. The Kershaw District (now county) was named in honor of him. His maternal grandfather had served on Francis Marion's staff during that conflict with England. Joseph's father had been a mayor of Camden, judge, state legislator and member of Congress. Kershaw attended school in Camden and the Cokesbury Conference School in the Abbeville District. While he probably performed well in school, he certainly must have failed penmanship. He did not attend college, but studied law and passed the bar exam in 1843. The next year he married Lucretia Douglass. He stood about 5'10" with posture as straight as an arrow. His chief physical characteristics that his contemporaries commented upon were his beautiful deep blue eyes (that several photographers captured) and his clear voice that he understood how to use effectively. He joined the Palmetto Regiment for service in the Mexican War and was elected 1st Lieutenant in the DeKalb Rifle Guards. He was stricken with fever and returned from Mexico as a physical wreck. He resigned his commission and his wife nursed him back to health. In 1852, he was elected to the state legislature and reelected in 1854. After John Brown's Raid in October of 1859, Kershaw became active in the militia and was elected colonel of the local regiment. He participated in the Charleston Convention that for South Carolina to secede from the Union. In response to Governor Andrew Pickens' call to arms, he proceeded to Charleston with his militia regiment and was assigned duty on Morris Island. During the crisis in Charleston Harbor, he organized the 2nd South Carolina Regiment and was named its colonel on April 9, 1861. He took his regiment to Virginia, the first out of state one-year regiment to come to defense of Virginia. They were assigned to General Milledge L. Bonham's Brigade and were soon given the post of honor as the furthest advanced regiment in northern Virginia. At 1st Manassas, Bonham gave him the added responsibility of taking his regiment, the 8th South Carolina and Kemper's Battery to the fight on Henry House Hill where they played a major role in breaking the Union lines and chasing the routed Yankees. His performance drew attention to him and his command. In January, Bonham resigned and Kershaw was promoted to brigadier general in command of the brigade which forever after would be identified with him. One of his soldiers, Y. J. Pope of the 3rd South Carolina and later Chief Justice of the South Carolina Supreme Court, eulogized Kershaw after his death in 1894. Pope wrote that Kershaw "was not without blemishes or faults, but it endeared him all the more" to those he dealt with. One of his problems seemed to be drinking, a not uncommon problem among Civil War generals. In March of 1862, the army retreated south from Manassas Junction and camped south of the Rapidan River while the Union intent could be determined. When it was time to move in early April, Kershaw was temporarily relieved of command because he reacted too slowly to the order to move. He was drunk at the time. The brigade fought at Williamsburg, Savage Station and Malvern Hill. Moving north into Maryland, the army spent several days in Frederick. As the army marched out of Frederick toward Harper's Ferry, one of Kershaw's men noted that the general was drunk. Nevertheless, during the siege of Harper's Ferry, he was assigned the key role of capturing Maryland Heights which his brigade successfully accomplished. Four days later they fought at Antietam. At Fredericksburg, after the mortal wounding of General Thomas Cobb, he was sent to the Stone Wall to take command in that vital sector. Like at 1st Manassas and Maryland Heights, he was given extra responsibilities and once again he successfully completed his mission as about 8,000 Yankees were shot in front of the wall. His men fought at Chancellorsville and at Gettysburg where they scattered seven Union brigades before being repulsed. At Chickamauga he was again given extra responsibility, command of his own brigade and that of General Benjamin Humphreys. On foot instead of horseback, in the dense woods on Snodgrass Hill, Kershaw could not possibly control eleven regiments. Repeated attacks failed, until the Federals slipped away under cover of darkness. The brigade participated in the East Tennessee campaign before going into winter camp. General James Longstreet brought court-martial charges against General McLaws for a fiasco which had occurred at Knoxville on November 29, 1863. Kershaw was placed in a tough position as he apparently was friends with both of his superior officers. His written depositions reflect his support for McLaws in this affair. Although the charges were found to be false, McLaws was transferred, elevating Kershaw to command of the division. The change led to mixed results for Kershaw and his former brigade. His division, one of the best in Lee's army, consisted of his old South Carolina brigade, General Benjamin Humphrey's Mississippi Brigade that William Barksdale had made famous, and two fine Georgia brigades commanded by William Wofford and Goode Bryan. At the Wilderness on May 6, 1864, and two days later at Spotsylvania, Kershaw's Division (led by his former brigade) twice saved the Army of Northern Virginia from disaster. At the Wilderness, Longstreet's Corps, with Kershaw's Division in the lead, rushed to the battlefield to stop a massive Union attack that had scattered A. P. Hill's Corps. As they approached the field, Kershaw rode forward. Quickly sizing up the situation, Kershaw rejoined his command. Lee's army had never faced a crisis of having a corps, one-third of his army, routed. D. Augustus Dickert described Kershaw's presence: "His eyes flashed, and his superb presence inspired his men. In all my experience in war and peace, I never saw such a picture as Kershaw and his war horse made in riding down in front of his troops." Kershaw's men were soon reinforced by General Charles Field's Division as they combined to stop the assault and stabilize the situation. The following night, both armies departed on different roads for the intersection at Spotsylvania Court House. It was a race of vital importance. If the Union could get there first, they would be between Lee's army and his capital of Richmond. The Federals had better roads, a shorter route and began the race first. However, Confederate cavalry slowed the Yankee advance until about 8:00 a.m. on the 8th, when their lines collapsed and they fell back to the undulating ground of the Spindle Farm that was given the misnomer of Laurel Hill by some Union participants. At the same time, Union cavalry traveling a different route had reached the Court House intersection and approached the Confederate horsemen's rear at the Spindle Farm. Again, Lee's army faced a major crisis unlike any they had previously. Learning of this as he approached the battlefield, Kershaw reacted quickly. He hurried his old brigade and the Mississippians to the Spindle Farm and detached the Georgians to go directly to the court house intersection. The South Carolinians arrived just as the Union infantry confidently approached the Confederate cavalry line. The Carolinians and Mississippians stopped the Federals who chose to attack in piece-meal fashion rather than use their superior numbers to overwhelm the defenders. Since the Confederate horsemen were now relieved, they chased away the blue-clad cavalry and Kershaw's Georgians secured the vital intersection at Spotsylvania. Kershaw and his men had again become the army's savior. Although seldom heard of, the First Deep Bottom Campaign a few miles east of Richmond in the last days of July would be a good measuring stick of Kershaw's abilities as a division commander. At the same time that Pennsylvania coal miners were digging a tunnel to literally blow a hole in the Confederate lines at Petersburg, Grant shifted General Winfield Scott Hancock's Corps across the James River to test Richmond's defenses. The strategy of hitting the Confederate left and right at the same time would be tried several times during the nine months of operations around Petersburg and Richmond. This, though, was perhaps Grant's best opportunity. 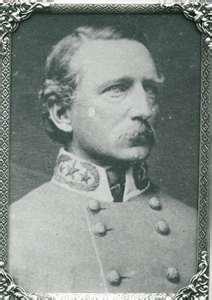 Lee responded by shifting troops including Kershaw's Division to meet Hancock's threat to the Confederate capital. On July 26th, Kershaw advanced his old brigade along with a battery and some cavalry to Curle's Neck. The next morning, Hancock's men crossed the James onto this peninsula. Facing an entire corps, Kershaw had two good options; reinforce his advanced force or pull it back. Instead, he did neither and unwisely faced Hancock's Corps with his small group which had become demoralized and exhausted. The results were predictable, but luckily the Southern force collapsed so quickly that the casualties were small. It was Kershaw's worst performance of the war. The summer heat, fatigue, stress, and attrition of good soldiers and officers had taken its toll upon both sides as every commanding officer did poorly at Deep Bottom. On the 30th, the division returned to the lines at Petersburg. Meanwhile, both sides had detached troops for the Shenandoah Valley. On August 7th, Kershaw's Division along with cavalry and artillery under command of General Richard H. Anderson were sent to reinforce General Jubal Early in the Valley. They arrived on August 14th at Front Royal on the south side of the junction of the north and south forks of the Shenandoah River. Two days later Anderson sent Wofford's Brigade and a cavalry brigade to secure the fords. General George Custer attacked this isolated force at Guard Hill on the north side on the north fork. Kershaw responded by sending a brigade across the river which stopped the Yankee horsemen, but not before the Federals had captured about 150 Southerners. One of the Georgians was critical of Kershaw for sending them on this dangerous mission, the only written criticism by a soldier that I have ever seen of Kershaw's generalship. Analysis of the incident is difficult due to lack of first-hand accounts. Kershaw apparently never wrote about it. Undoubtedly, the fords needed to be secured so Anderson's command could join Early in the Valley. Whether or not Kershaw was slow to reinforce the Georgians remains speculative until further information is found. Anderson's men remained in the Valley for a month practicing what one soldier called 'mimic war.' Although casualties were few on both sides, Kershaw's old brigade had two of his six regiments captured and lost several other regimental officers. Since Early was not putting Anderson's men to good use, Lee recalled them to rejoin the main army. On September 15th, Anderson's men began the long walk back to Petersburg. Learning of Anderson's departure, Sheridan attacked and won two major victories in 72 hours, forcing Early to retreat up the Valley. When Anderson's men reached Gordonsville they learned of Early's troubles and received orders to rejoin Early. Kershaw's Division fought at Hupp's Hill on October 13th, 1864, and six days later in the major battle at Cedar Creek. Kershaw's Division led off the attack before dawn and for several hours the Confederates pushed back the Union lines. However, in the afternoon the Federals' resistance stiffened and then came a strong counterattack. General John Gordon's Division quickly broke, but Kershaw's and General Stephen Ramseur's held their ground until the domino effect forced back Early's entire force. A cavalry charge turned the withdrawal into a rout. What started so successfully had turned into a major Confederate disaster which helped to reelect Abraham Lincoln. Kershaw had performed as well as any Confederate general and better than most. Kershaw's Division returned to Richmond in early December. A month later his old brigade was sent to their home state to stop General Sherman's invasion. Kershaw remained in the Richmond/Petersburg area until Lee's army withdrew on April 2, 1865. Kershaw was one of six unfortunate Confederate generals captured at Sayler's Creek on April 6th, three days before Lee surrendered at Appomattox. Kershaw was captured by Custer's cavalry who took him to their chief. The Yankee general treated Kershaw very kindly and that night shared blankets with the captured general. Eleven years later, upon learning of Custer's death at the Little Big Horn, Kershaw wrote a lengthy account of his capture and kindly treatment by Custer as a tribute to the fallen cavalry leader. Kershaw called news of Custer's demise 'heart rendering.' Instead of obtaining a parole and going home, Kershaw went to prison camp at Fort Warren in Boston Harbor, where he stayed until mid-August. Kershaw returned to Camden to resume his legal career and was elected to the state senate in 1865 and chosen as the President of the Senate. During Reconstruction, his 'counsels were for prudence' rather than extreme action. In 1870, as a member of the Union Reform Party convention, he wrote resolutions recognizing the Reconstruction Acts. In 1874 he ran unsuccessfully for Congress, but was elected judge of the fifth circuit court of the state in 1877. Y. J. Pope who knew something about the legal profession as the Chief Justice of the South Carolina Supreme Court praised Kershaw's rulings as being correct and fair. Pope considered Kershaw to be a model judge. Kershaw resigned in 1893 as his health began to fail. At his retirement party, some of his former soldiers as well as associates in the legal profession paid tribute to him. Three members (John D. Kennedy, Robert W. Shand and William D. Trantham) of Kershaw's 2nd South Carolina were also lawyers who used the occasion to speak in glowing terms of Kershaw's abilities as a military officer, his efforts to help the state during Reconstruction, and his integrity as a judge. Afterwards he was chosen to write the history of South Carolina's participation in the Civil War, a work he never completed. He was postmaster of Camden when death came at his home on the evening of April 13, 1894, the 133rd anniversary of the initial surrender of Fort Sumter. He is buried in Camden's Quaker Cemetery along with many of his soldiers from Kershaw County. Joseph Kershaw has been consistently praised by his soldiers, colleagues in the legal profession, and by 20th Century historians. The only soldier I have found who obviously did not like Kershaw was David Wyatt Aiken, an officer in the 7th South Carolina under Kershaw early in the war. Why Aiken disliked Kershaw is unknown, perhaps they had political or personal differences. I have never found anything written by Kershaw stating his opinion of Aiken. In an article in the February 1970 issue of Civil War Times Illustrated, John E. McDowell and William C. Davis chastised Kershaw for being confident of his abilities and self promotion. The essay seems more intent on criticizing the general than analyzing his generalship. Self confidence and promotion are characteristics of most successful generals, qualities that Robert E. Lee didn't seem to mind among his subordinates. Unfortunately, a biography of this important general, lawyer, politician, and judge has not been written. A potential biographer would have to possess a vast knowledge of the Civil War as well as South Carolina politics especially during Reconstruction and the legal profession to do Kershaw justice. Perhaps somebody will someday make the attempt. All images and content are the property of eHistory at The Ohio State University unless otherwise stated. Copyright © 2011 OSU Department of History. All rights reserved.